Come up with a creative title – Be it a movie or a reality show, the first aspect of your script that investors and producers get to see is the title. Make sure that the title you choose resonates with the theme of the script. Take the hit sitcom F.R.I.E.N.D.S. The title encapsulated what the theme of the show was– the life of six friends. Develop a strong logline – The logline refers to the basic premise of the show. A few sentences that tell everyone what the show is about and what you intend to achieve out of it. A catchy logline can be a very strong sales tool. A good example of a logline could be the one used by the team of the sensational reality show Fear Factor – “Ordinary people face their fears by competing against each other in outrageously devised stunts”. A written pitch is a must – These days, power point presentations, coupled with fiery, passionate speeches are what most directors choose to use when pitching their script. While a picture is worth a thousand words, providing written material to your potential investors and producers will be extremely beneficial. A written pitch can be easily shared between various parties and it will help the director get the visibility he or she needs. 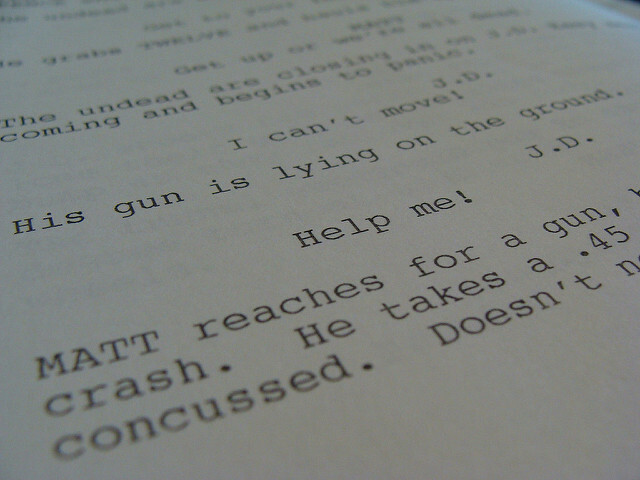 Have a script in the pipeline – To pitch a script, it is essential to have one in the making. A first draft of the script or a framework is a must. Distribute these to anyone who you feel will be beneficial to your cause. If you don’t have a script ready yet, inform the investors and the producer. Make sure you get it across to them at the earliest. A proof-of-concept film can help – A proof-of-concept film is a scene of a full-length script that is directed in the way a short film is. These films will help directors showcase their talent and help clinch the deal. Think like the producer – The most important thing to do before pitching your script is to think like the producer. Consider the potential questions and objections that may come your way. This will help you prepare better.